Manufacturer of a wide range of products which include vacuum chambers and vacuum d gassing chamber. We have established ourselves as a renowned manufacturer, trader, and supplier of Vacuum Chambers. These chambers are used in labs, studio, and many more places. Our offered Vacuum Chambers are tested on numerous parameters under the direction of our quality experts in order to deliver a flawless range. 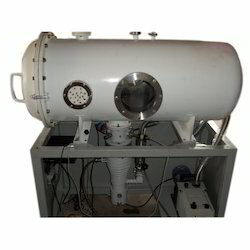 We provide these Vacuum Chambers in different specifications as per the need of customers. Vacuum D Gassing Chamber serves a range of industries, all faced with the same challenges of environmental contamination and gas entrapment in curing compounds. 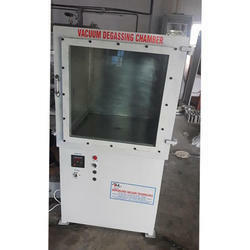 Vacuum D Gassing Chamber serves to improve the process and end product working with epoxies, urethanes, resins, silicone rubber, adhesive mixes, castings, plaster, compounds used in jewelry, sculptures, medical and electrical components. Raw compounds or the components of a mixture can be mixed before or during degassing by employing Vacuum D Gassing Chamber, scaled from benchtop small batch systems to drum chambers sized to accommodate 55-gallon drums. Mixer motors of various torque and speed and accompanying thermal platen systems help meet the challenges of working with the most demanding materials. Looking for Vacuum Chambers ?